It’s not always that it happens, but one of the most troubling issues facing the crypto world is about security. There have been numerous reports of attempts made by hackers and fraudsters to steal personal and other important information that could lead to loss of funds. The latest attempt is through an EOS wallet. The malicious app had been uploaded on Google Play Store before it was discovered and reported by a Brazilian developer company. Named SimplEOS, the app mimicked the wallets created by EOS Rio, the developer company. It was discovered that the fake software was actually a malware tool grabbing users’ passwords and other account information to steal their crypto funds. The fact that cryptocurrency transactions are anonymous makes it hard to recover stolen funds in such schemes. While it is the greatest cornerstone of the decentralized systems, the anonymity part is one of the major factors impending the total acceptance and adoption of cryptocurrencies by the authorities around the world. EOS RIO is a developer company recognized within the crypto network as one of the Block Producers on the EOS network. Basically, the Block Producers are the governing entities on the EOS blockchain. It is based out in Rio De Janeiro, Brazil. The company develops blockchain-based digital products. However, it has since made it clear that it has no apps currently hosted on Google Play Store. That makes the app in question an outright fraud. Going further, the company took it upon itself to report the fake app to Google and warn users against downloading it. The company has directed users who want to download its apps to use its official website or on GitHub. The good part is that Google was quick to act upon receiving the heads up from EOS RIO. The fake app has since been taken down from the site. 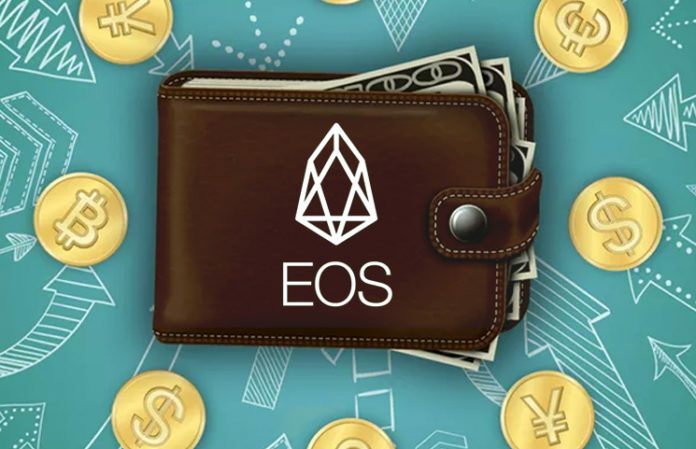 It’s a fact that this isn’t the first time a fake EOS wallet has been spotted. However, the EOS community has always been on the lookout, and such fake apps don’t stay long before they’re taken down. However, given that such scams are mostly targeted at crypto holders, it’s in the users’ interest to exercise caution when downloading software. One good way to vet an app is to check its reviews. If the number of reviews is decent, say 1,000, then the app is deemed authentic and trustable.